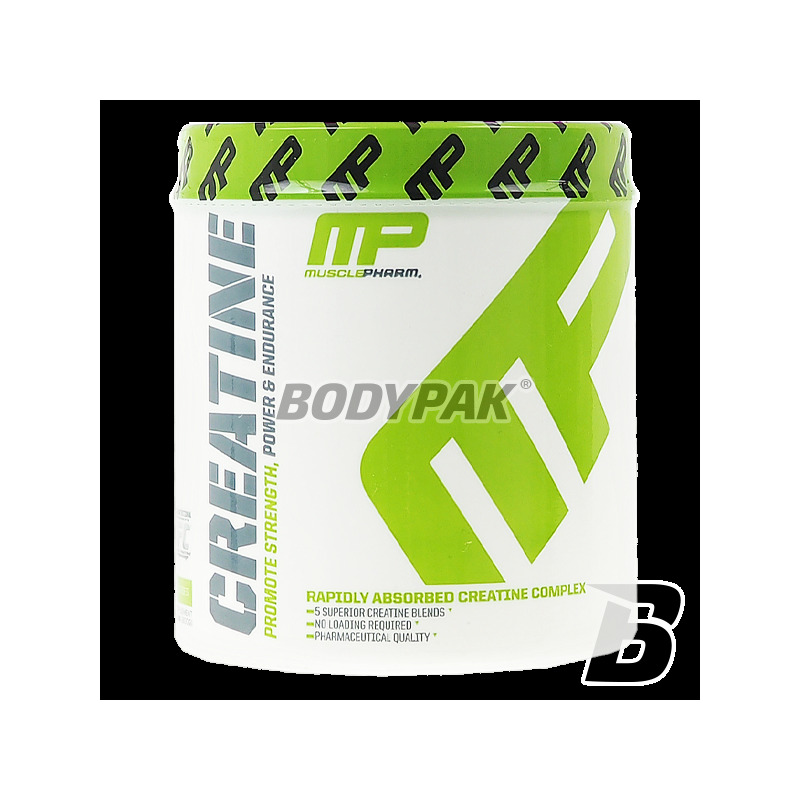 MusclePharm Creatine is a top supplement for bodybuilders. With simple reasons creatine has become the most popular supplement for athletes of recent years: increased strength, muscle mass and strength. 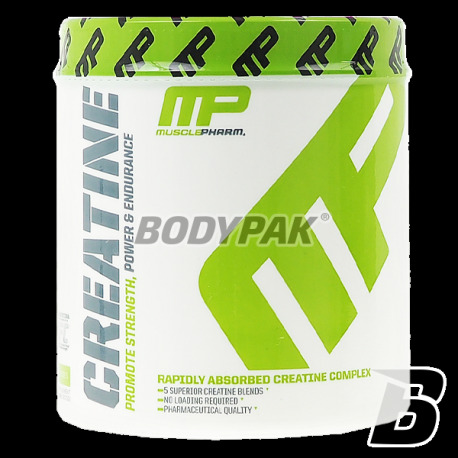 Muscle Pharm Creatine is a top supplement for bodybuilders. With simple reasons creatine has become the most popular supplement for athletes of recent years: increased strength, muscle mass and strength. Creatine increases syntezębiałka by what works anabolic effects on muscle - builds them contributing to the increase in lean body mass. The impact of the increase in power takes place through the participation of creatine in the production of ATP - the basic energy carrier in the body. The more ATP stored in the muscle, the greater the strength of man has. Pharm Muscle Creatine is a combination of up to five best form of creatine in the CON-CRETE, which is most easily absorbed creatine available on the market and therefore does not require the use of large quantities or interruptions in cycles. Micro metering (Micro-Dosing®) Product CON-CRET has a fantastic increase strength, endurance and speed up muscle recovery. MusclePharm as the only company in the world produces creatine whose base is patented by an American company PromeraHealth formula CON-CRET. This form of creatine is dissolved in 59 times better than for example. Monohydrate which makes it absorbed about 70 better than other forms of creatine. The form also ensures less strain on the kidneys, because the effective supplementation simply much less inside them hitherto. CON-CRET causes a significant increase in strength and muscle volume without the effect of water accumulation between the muscles and the skin. Thanks to the high level of fragmentation and thus the assimilation of water storage is only in the muscles which is known conducive to their growth. These features make the product 750mg CON-CRET is responsible up from 5 to 10 grams of creatine monohydrate.